Easy Street – What an experience! This was an incredibly fun adventure and I want to thank Bonnie for her generousness. Easy Street was the first of her quilts I’ve done since discovering Quiltville.com So much information, so many things to try. Now, I don’t know if I would have started it if I’d had any idea there were nearly 2500 pieces in the quilt-thank goodness for my Sizzix cutter. It was a challenge but worth every minute! before finnish I aam readin this great piece of writing tto improve my know-how. 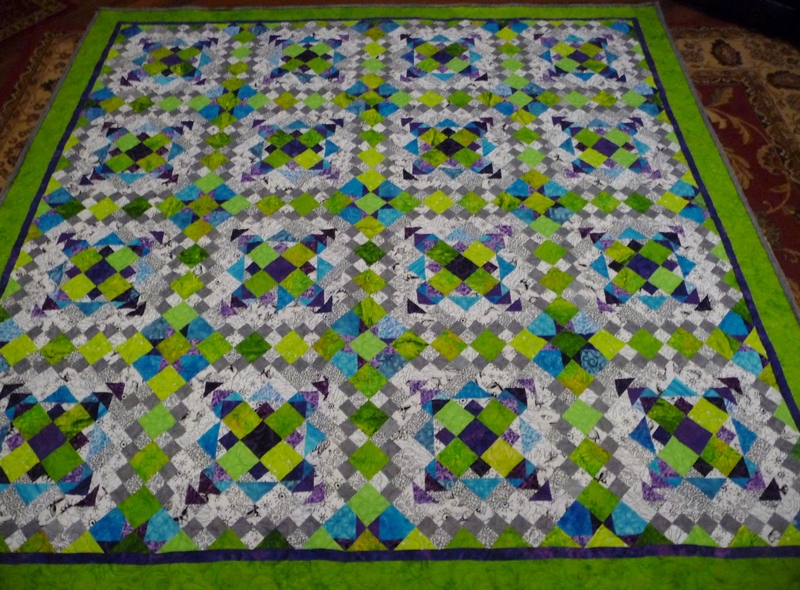 Wow – your Easy Street is fantastic – all quilted and beautiful! I LOVE the backing. 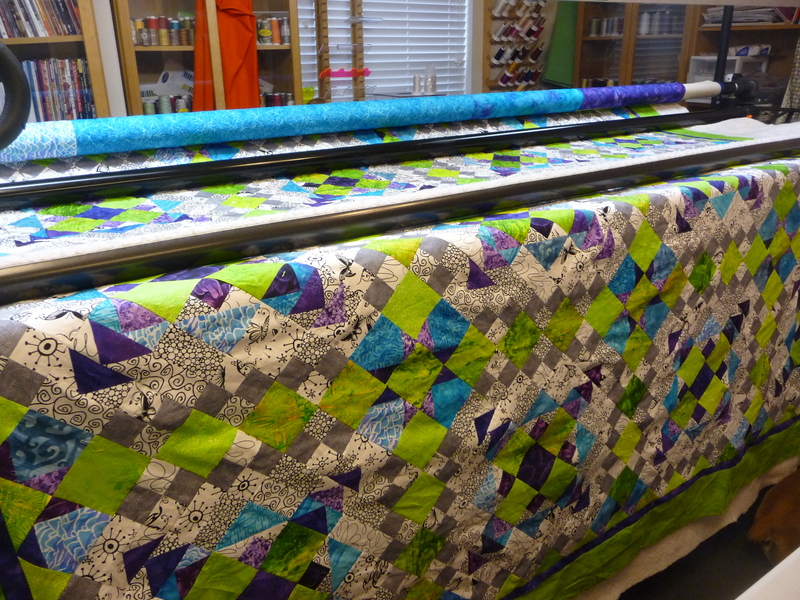 This was so much fun to work on with quilters from all over the world! Looking forward to the next one – Bonnie’s mysteries are always worth it. Thank you so much for your nice comments. I went to your blog and was astonished ! 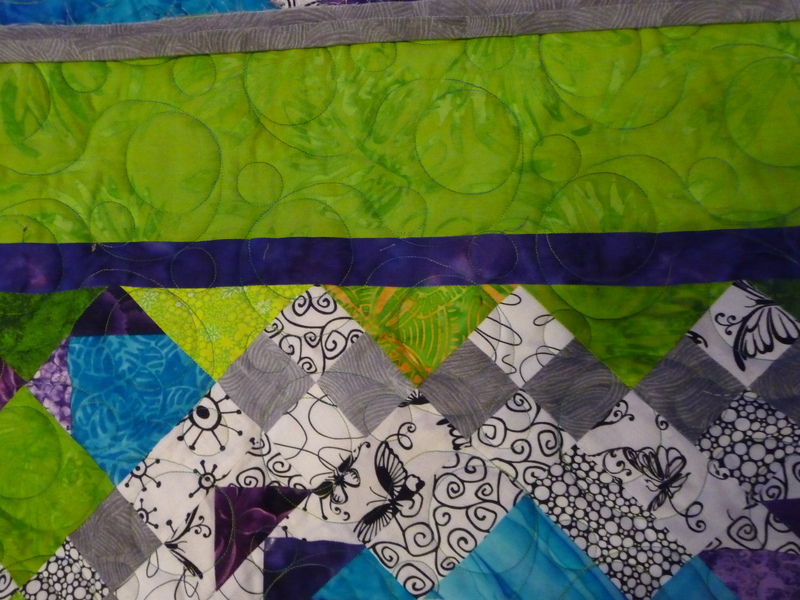 Not one but two beautiful quilts from ES plus fantastic small quilts! How do you do it? Great blog! Love it Karen! Can’t wait to see it. I am still on step seven which is actually pretty amazing that I’ve made it that far. Thank you so much for telling me about this. It has been amazing fun. It is really a wonderful thing that Bonnie does. I feel like I have gotten to know her through the mystery. I would have NEVER tackled this project had I seen the finished product. This stretched me way beyond my comfort zone and it has been wonderful! I am so glad I took the challenge. Beautiful quilt! I’m not sure I would have done it either knowing there were 2500 pieces. 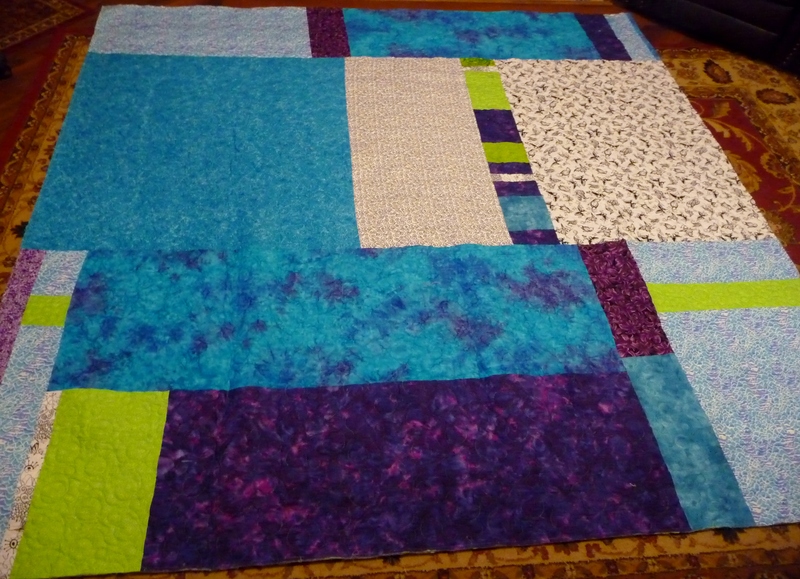 Your piecing and quilting is wonderful!